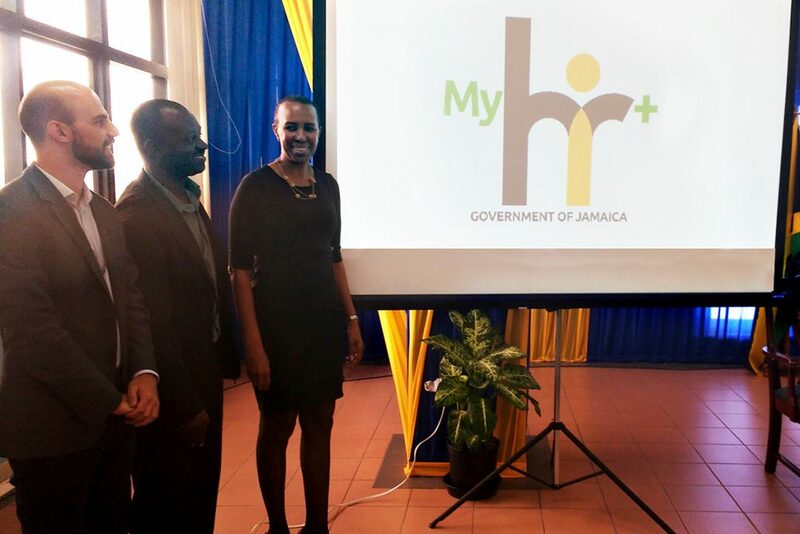 In the ceremony held on March 6th at the offices of the Ministry of Finance, the Minister of State and Public Service, Fayval Williams, Deputy Financial Secretary Wayne Jones and the Director of the Transformation Implementation Unit, Maria Thompson Walters, revealed the name and the logo of the Human Capital Management System (HCMES), now called My HR +, to be developed by Quidgest for the Government of Jamaica. The implementation of the first phase of My HR + in public sector entities has already begun and should be completed by the end of 2017. Fourteen ministries, departments and agencies (MDAs) were selected to be the first to use the system’s services, which Offers a standardized human resources and payroll platform. The system has been developed with GENIO agile platform, based on MVC.net technology so that it can be used also in mobile devices, this is one of the most modern HR management integrated system in the market.